Learn a traditional printing method. Working with your hands is more useful if it stems from age-old traditions and the basis of modern design: screen printing and letterpress. There are studios throughout the Northeast, and whether you look into Union Press or Artisan’s Asylum in Somerville or The Arm in Brooklyn, learning the art of screen printing or letterpress can be worth the time, creatively and socially. 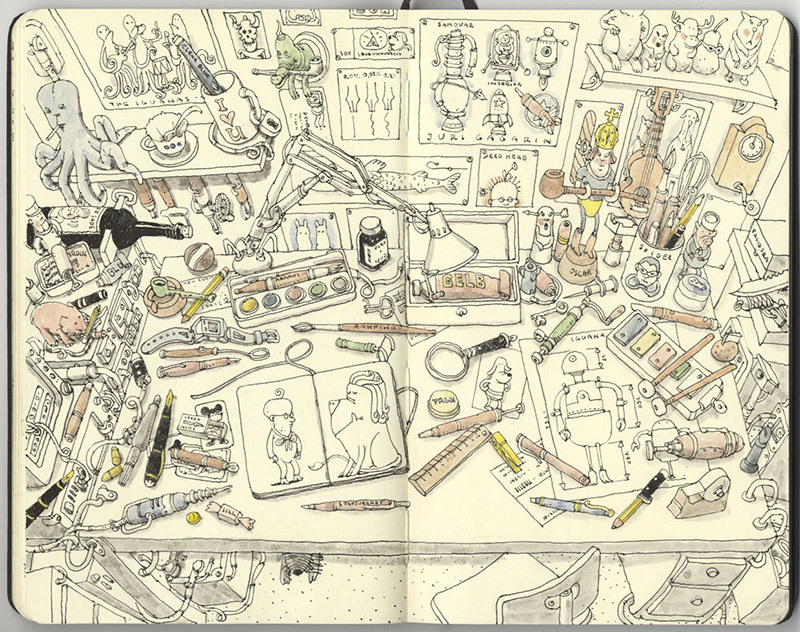 Get a sketchbook. Don’t spend too much on one or you’ll end up not letting yourself use it casually, for unfinished work. If you aren’t motivated on your own, do something like The Sketchbook Project, where your sketchbook becomes one of hundreds in an annual group exhibit. 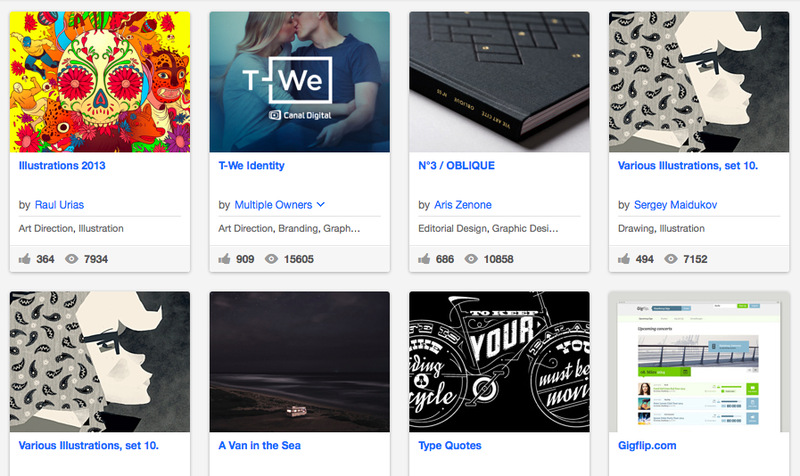 Browse Behance. Important to note: don’t copy people. Use other people’s projects as a source of inspiration for techniques or color combinations, or to kick start an idea that’s been brewing but isn’t fully formed. Use money as motivation. There are lots of ways to make a little moola on the side (and who couldn’t use some extra?). Minted is an online stationery, card, and gift marketplace that has a unique competition structure based on designer-submissions. Winners receiver 6% commission whenever their design is purchased on the site. Another option is Society6, a site that supports artists by allowing them to upload work to be sold on various products, the artists determining the portion of the sale they receive. Find what works for you. I’d love to say make sure you have an area without clutter so there’s space to work, but sometimes that’s what people need. Maybe try saving clippings that inspire you? But maybe that’s not your style either. Point is: figure out what kind of space you need in order to get stuff done. Leave an area in your living space entirely clear so there’s no obstacle when you want to sit down and work on a project, or dedicate that corner desk to be your creative spot and don’t pile up bills or papers there. Get some noise. Most people need to tune out real life in some capacity in order to hunker down and make things. Make a playlist (or pick one based on your mood on Stereomood), or create the ambiance of the working in a coffee shop with Coffitivity. It’s pretty awesome, actually. They have various coffee shop environments to choose form, and if you’re the type who just needs a little white noise in the background, it’s perfect. Hopefully you found some good ideas in here. We wish you the best of luck with all of your creative endeavors this year! This entry was posted in Creative and tagged behance, coffivity, creative ideas, good creative environment, letterpress, minted, new year's resolution, screen printing, sketchbook, sketchbook project, union press. Bookmark the permalink.